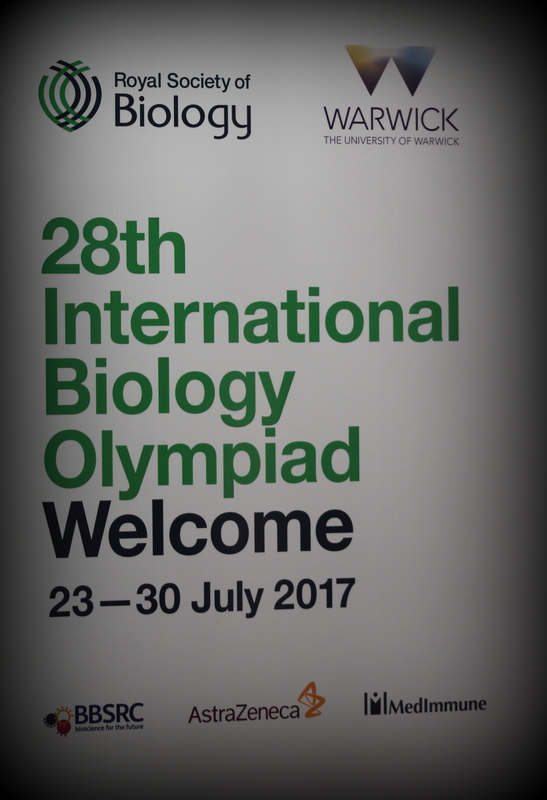 The 28th International Biology Olympiad (IBO) took place at the University of Warwick between 23 – 30 July 2017 with 264 international competitors (aged 14 – 18) competing in a series of practical and theoretical exams devised by School of Life Sciences staff and colleagues from the Royal Society of Biology. These exams sought to provide an educational experience for the competing students and provide a robust theoretical and practical challenge to discriminate between abilities. Their secondary aim was to showcase complex biological concepts to further pique candidate’s interest in biological science and encourage them to pursue careers in this area. The structure of practical and theoretical exams was underpinned by these pedagogical aims by applying a contextual narrative throughout the papers. Whilst a few logistical problems occurred, these did not impact the desired educational aim, leading to one of the most successful IBO’s in recent years. Helfer. J, (2016). Joda [online] Available at: https://ibo2017.jonashelfer.com/ [Accessed 3 Aug. 2017]. Ibo2017.org (2017). Programme. [online] Available at: http://ibo2017.org/participate/programme.html [Accessed 3 Aug. 2017]. Ibo2017.org. (2017). Home. [online] Available at: http://ibo2017.org/ [Accessed 3 Aug. 2017]. Morélis. H (2016) Designing a reliable Theory Test for the International Biology Olympiad. Available at: http://www.ibo-info.org/pdf/Designing%20a%20reliable%20IBO%20Theory-HMr-oct2011.pdf [Accessed 3 Aug. 2017]. ukbiologycompetitions.org (2017). British Biology Olympiad. [online] Available at: http://www.ukbiologycompetitions.org [Accessed 10 Aug. 2017].